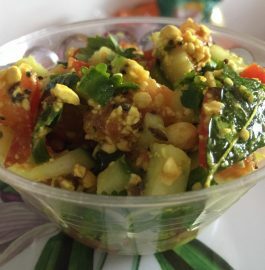 Karela recipe with paneer stuffing is a unique and flavourful recipe full of protein and nutrition. Karelas are liked by very few people because of its bitter taste. But they are healthy, especially for the diabetics. 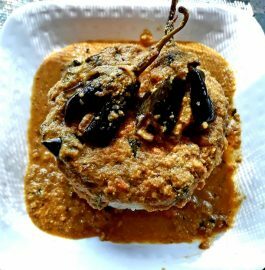 This karela recipe or bitter gourd recipe will be loved by all as it will not taste bitter at all. And also, this stuffed karela is protein packed as paneer stuffing is used. 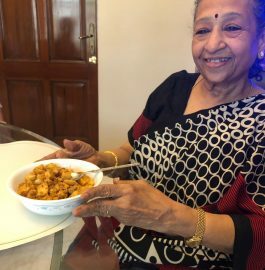 This karela recipe uses onions(can skip onions if wanted) which increases the taste and flavour. 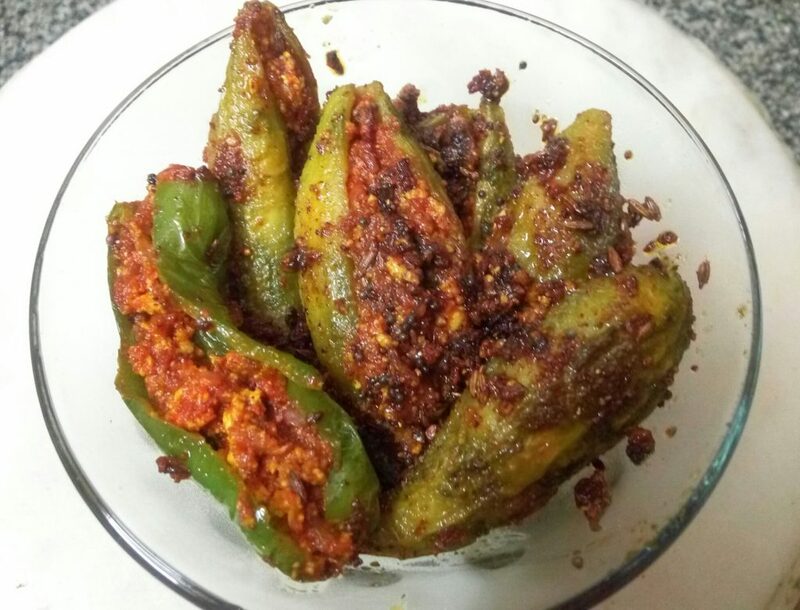 For more such exciting recipes like this karela recipe, please click on the following links. Wash karela/bitter gourd and onions. Peel both karela and onions. Slit the karela and remove seeds if any. Peel and grate onions. Mash/grate the paneer. 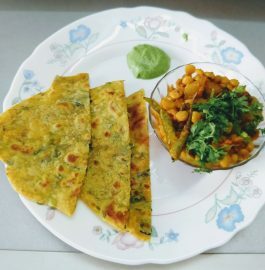 Take salt, turmeric, red chili powder, coriander powder, heeng, amchur/dry mango powder and methi-saunf powder and add to mashed paneer and mix well. Add grated onion to this masala mix. Add a teaspoon of oil to it. Mix well. 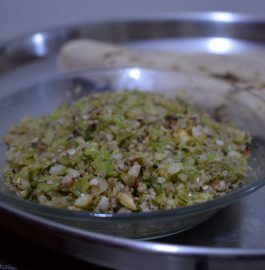 Stuf this masala mix to the slit karela. 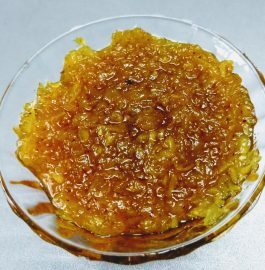 Heat oil. 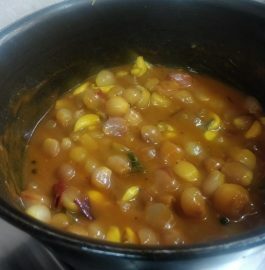 Add heeng, cumin/jeera ka tadka. Add stuffed karela to it. Cook on low flame for 4-5 minutes. Flip them gently. Cook on low flame with lid covered for 3-4 minutes more. Check if the karela has turned tender or not. Gently flip the karela so that they get cooked from all sides. 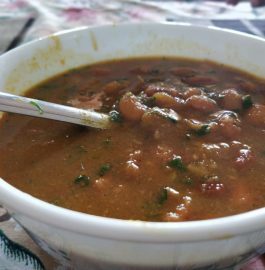 Add any additional masala, if any. Stir lightly. Cook on low flame again for 2-3 minutes. Off the flame and cover it. 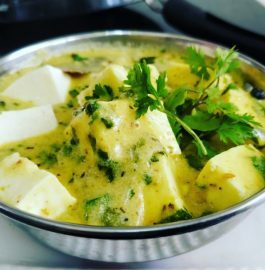 Tasty 'Karela Recipe With Paneer' is ready to be served in lunch! 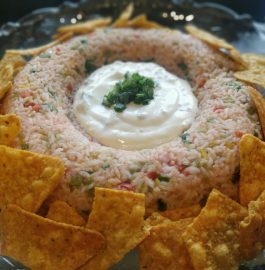 Tried this recipe today, turned out to be awesome. My family loved it too! Thanks for sharing! 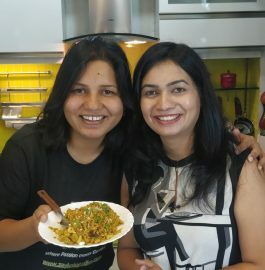 I am a housewife passionate towards cooking variety vegeterian food. 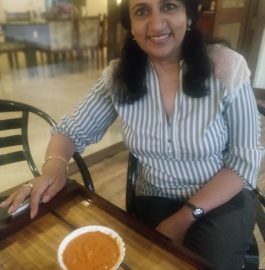 Since I love change in the food regularly, I keep experimenting and innovating the daily food with simple twists so that they look different and maintain the taste. Variation in look, taste and preperation is my mantra in day to day cooking.